Wishing everyone (my followers, friends & readers) a happy, healthy and blessed New year 2016. Matar chaat is one of the popular street food of North India specially in Delhi and Amritsar. You might see many street vendors selling matar kulcha on roadside or even outside schools and colleges. 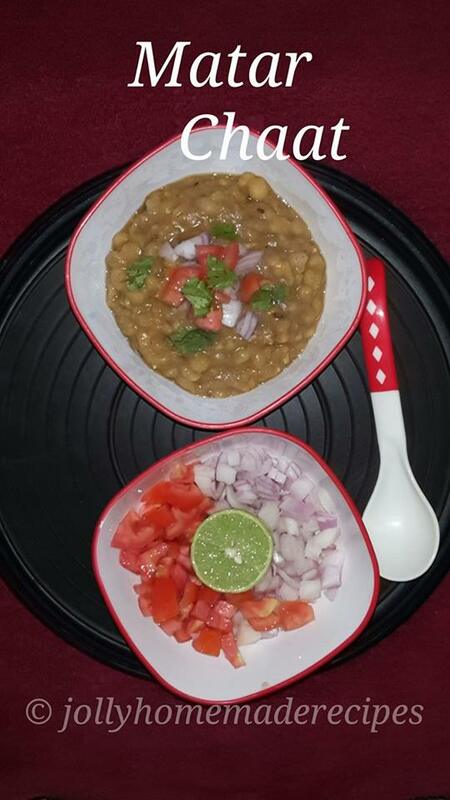 Peas are soaked, boiled, tempered with Indian spices and then garnished with onion, tomatoes and green chilies. 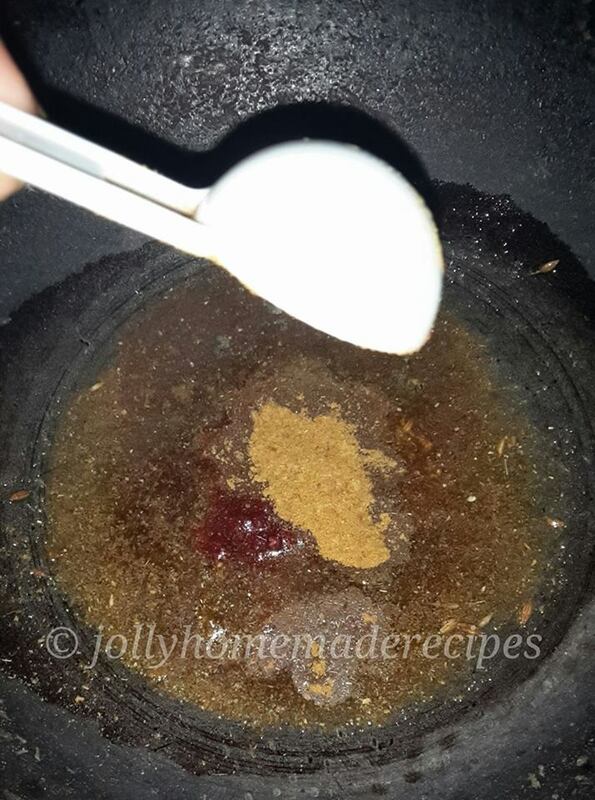 Little bit of tamarind chutney is added to make it more tangy and spicy. This is one of my favorite chaat recipe with Kulcha. 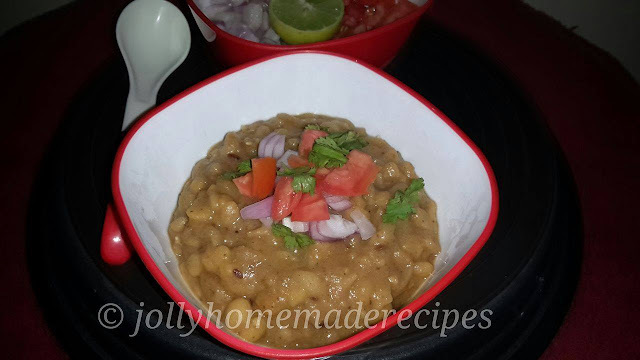 This is another very popular street food that comes very close to matar kulcha is amritsari chole. 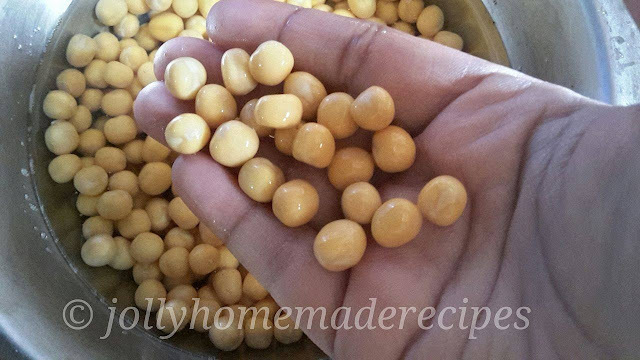 Chole is a punjabi recipe of white chickpeas curry served with fried bread known as poori. The word matar in Hindi means peas. 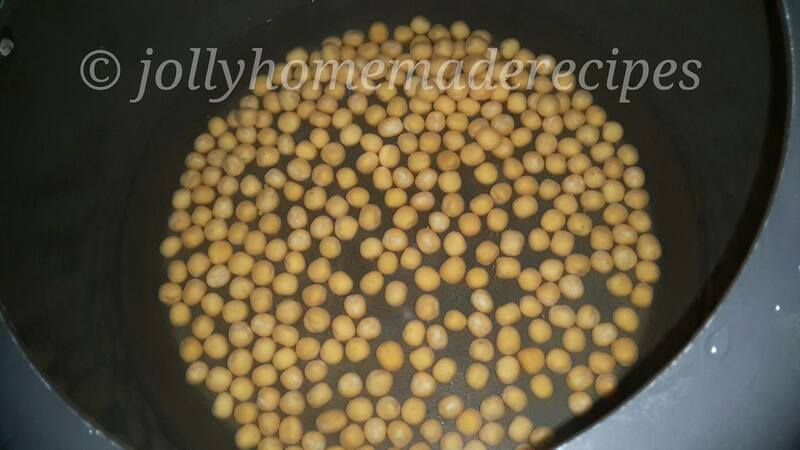 In this recipe the peas that are used are dried white peas. These peas are light brown in color, same as chickpea color. The matar chaat has a semi thick consistency with a tangy taste and flavorful savory dish. 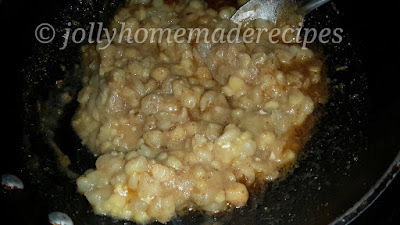 This is best accompaniment with Kulcha (Indian bread) which is already posted on my blog last year you can check it by clicking on the kulcha. If you don’t have kulcha then you can eat the matar curry with naan too. You can also have the matar plain without any accompaniment. This matar recipe is adapted my Mom's kitchen, she is used to prepare at home only. 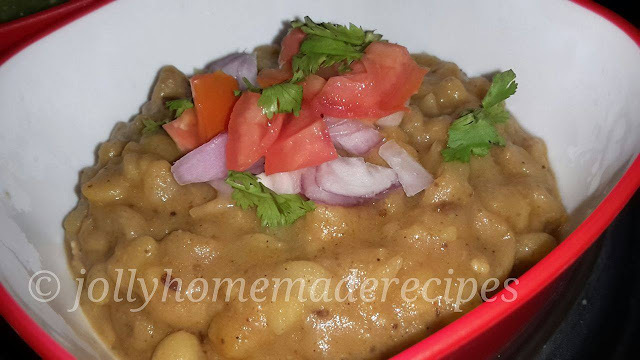 During my childhood days street food hawkers carrying hot and spicy matar chaat in a big brass pateela were a common sight outside schools, on the road sides, in the market just by the roadside. Chaat dishes are so delicious that they make you smack your lips and lick the plate clean. :) :D They taste so delectable that you’ll fall in love with this savory chaat recipe. In India, chaat is often sold by street hawkers, specially in the noon or evenings. You can see people standing all around a Chaat Waala's cart, eating and licking their plates. 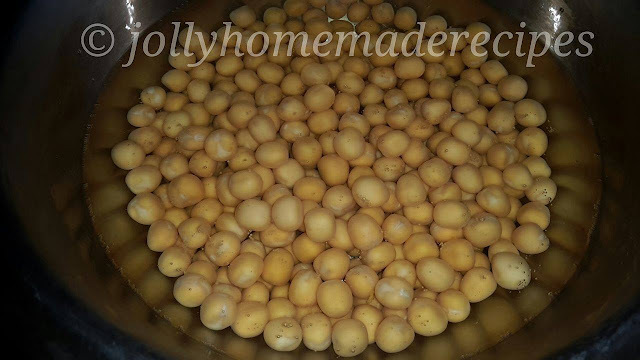 Let's begin step by step lip smacking matar chaat recipe with pictures. please refer to the kulcha recipe here. 1. 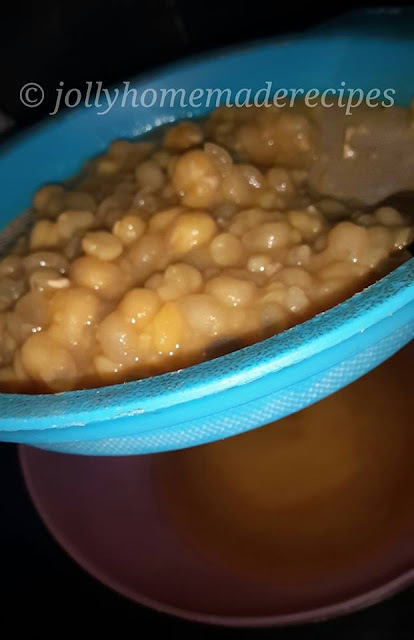 Drain water from the soaked peas. Rub and wash again to discard any white skin. Put them in a pressure cooker. Add 1 1/2 cups water. 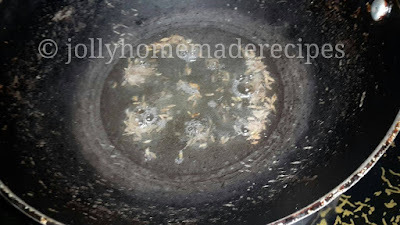 Pressure cook on high heat till two whistles and reduce heat and let it cook for 15 minutes. Remove from heat and let the pressure come down by itself. 2. Strain the peas to discard any water. Remove any of those thin white skins. Leave them in the strainer. Mash the peas with the backside of a karchi. 3. If using dry tamarind, soak in 1/4 cup of water, microwave for a minute, mash and strain to get tamarind water. 4. To prepare the matar, heat 2 tbsp oil in a kadai. Add cumin seeds. Remove from heat. Add asafoetida, salt, and all the other masala's - chat masala, roasted cumin powder, garam masala powder, red chilli powder and dry mango powder. Return to heat and stir for 30 seconds. If using tamarind water, add it here. 5. Stir and immediately pour this mixture into the cooked matar/peas or add the cooked matar to this mixture. Switch on the fire and heat through the matar for 3-4 mins. 6. 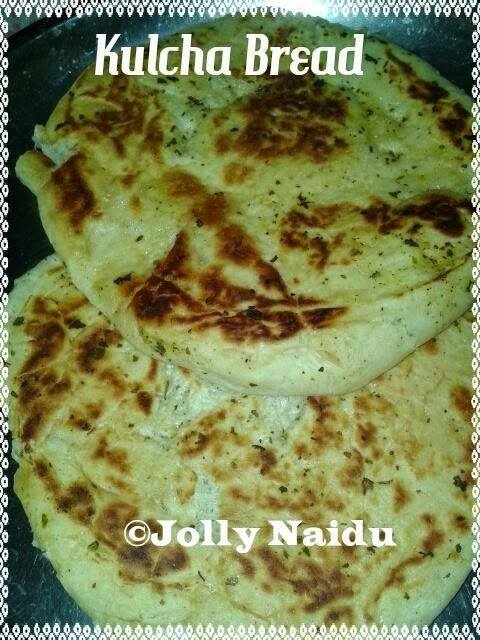 Serve matar kulcha in bowls or plains. 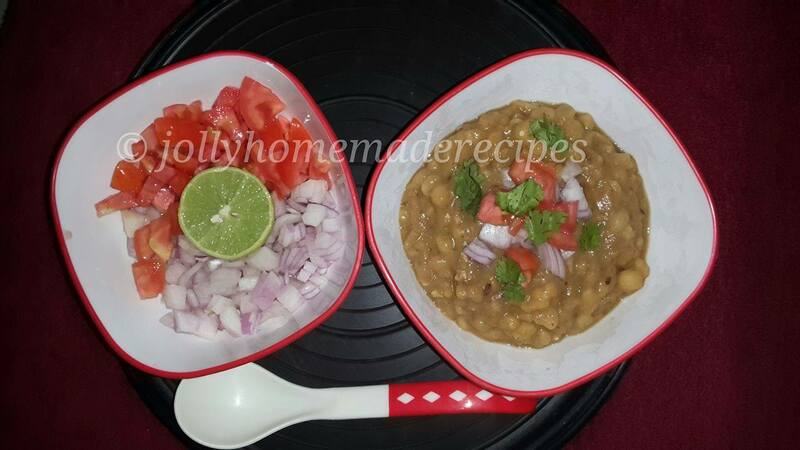 Top with onions, tomato, coriander and chilies. Squeeze some lemon juice on top and mix lightly. Serve with kulchas or naans. WOW! This sounds interesting and would love to try this soon! Looks flavorful and YUM! This is our in-house favourite recipe. The most popular street food in Delhi . Simple ,delicious and filling dish. Delicious and flavorful. Always a great fan of Chaat and this one is interesting. Wow, my favourite magar kulcha! Nice and tempting matar chat with kulcha. I will check if I can get dry peas here. It's easily available outside in Indian grocery shop, Thanks a lot. 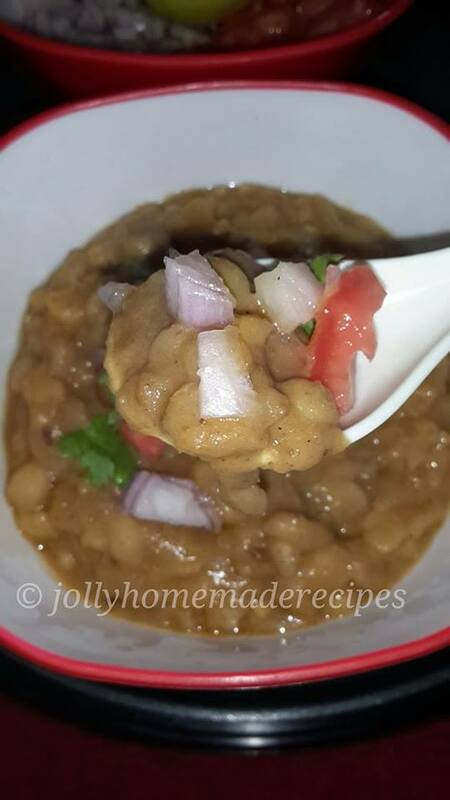 Visit JollyHomemadeRecipes's profile on Pinterest. Powered by Blogger Templates Created By : ThemeXpose . All Rights Reserved.